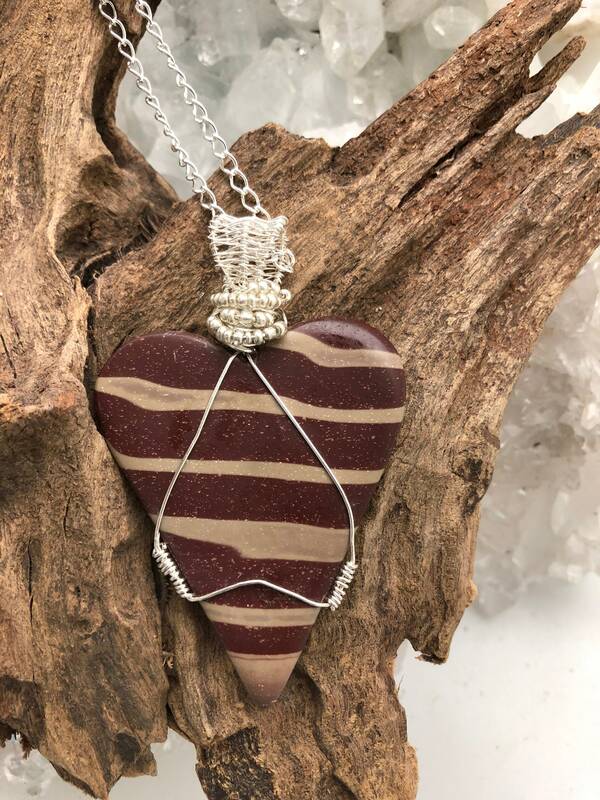 This lovely banded jasper heart pendant necklace will please your heart! 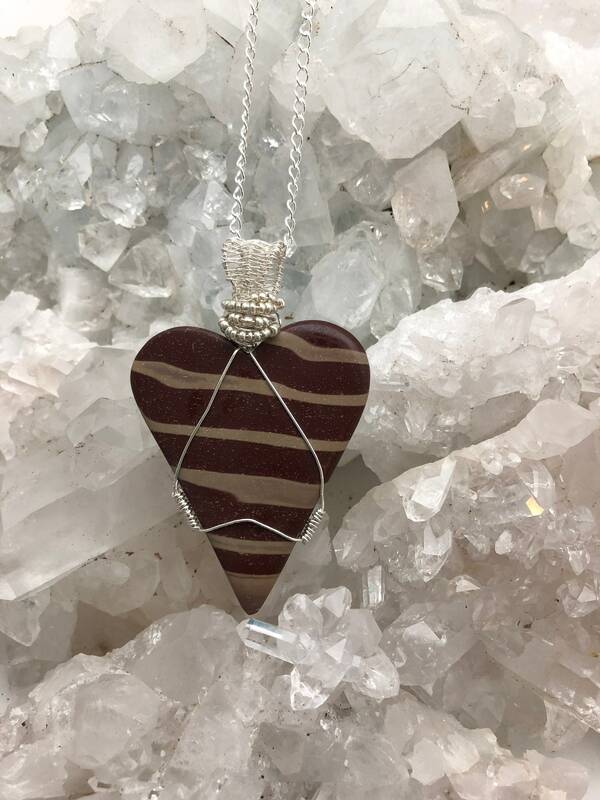 It is 3" x 2" and it is very light for the size of it. 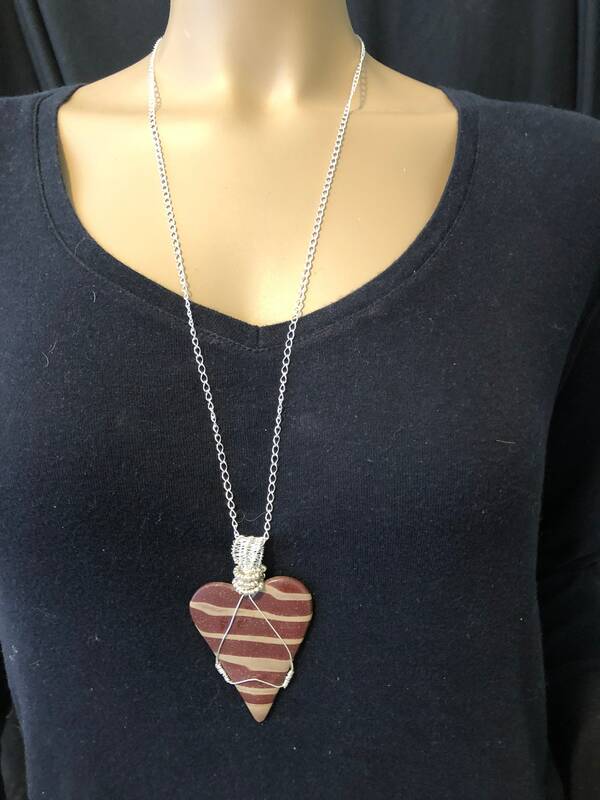 The chain and wire are sterling silver and the chain is 30" long. The colors are a deep blood red and beige. I decorated the bail with tiny silver seed beads.